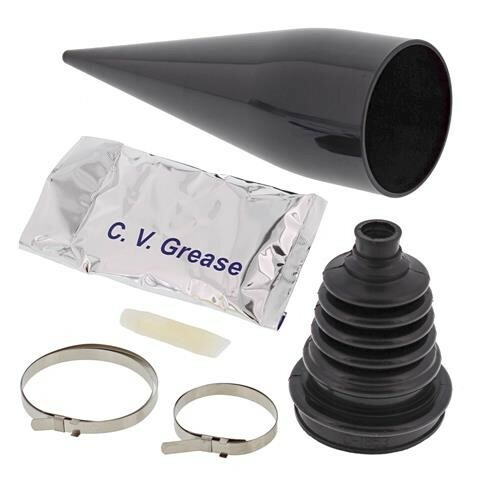 Expandable universal CV boot, slides and expands over reusable cone tool for trail side CV boot replacement. Two clamping diameters ensure a good fit on most vehicles. Save your expensive axles carry a kit in your tool box as an inexpensive quick repair don’t miss a ride.